Getting to Bandhavgarh is not difficult. There are convenient overnight trains from Delhi and Agra to Umaria which is close to Bandhavgarh (1 hour drive). There are also trains linking Sawai Madhopur (Ranthambore) and Varanasi to Jabalpur (3 hours drive away). The closest airport is at Jabalpur. 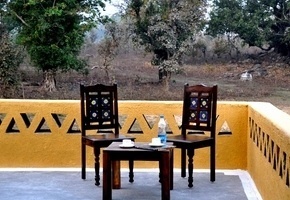 The first day you arrive in Umaria or Jabalpur and transfer to Nature Heritage Resort near Bandhavgarh National Park. The compact park with a core area of 105 sq km was originally the private game reserve of the Maharajas of Rewa and it is here that the first white (albino) tiger was found. If time permits you'll do a game ride in the afternoon of Day 1. 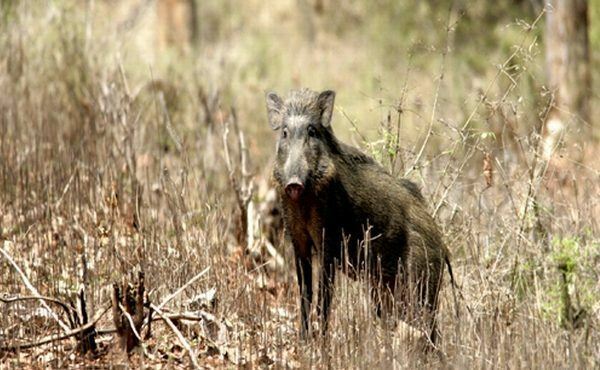 Bandhavgarh is justifiably famous for its tigers but it also has a wide range of other game such as nilgai, jungle cat, wild boar, hyenas and many species of birdlife. The viewing is excellent due to the sparse undergrowth. 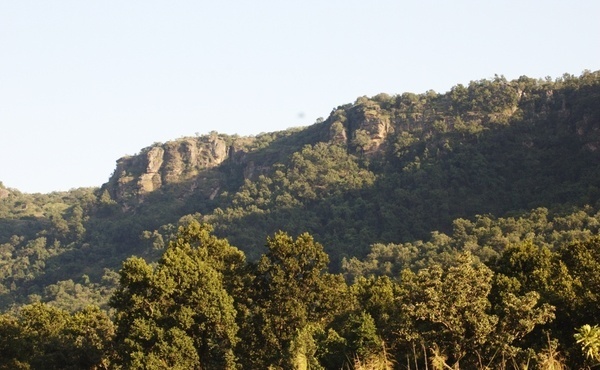 The park area is hilly and is dominated by the majestic Bandhavgarh Fort. The adjacent hills have a large number of old caves with inscriptions dating back to the first century B.C. All in all its scenic surroundings and the presence of the many wildlife species make this park a must on any serious wildlife enthusiast' itinerary. You will do both morning and afternoon game rides thereby increasing your chances of spotting a tiger. You drive from Bandhavgarh to Kanha (6 hrs). This is original Kipling country, of which he wrote so vividly in his Jungle Books. 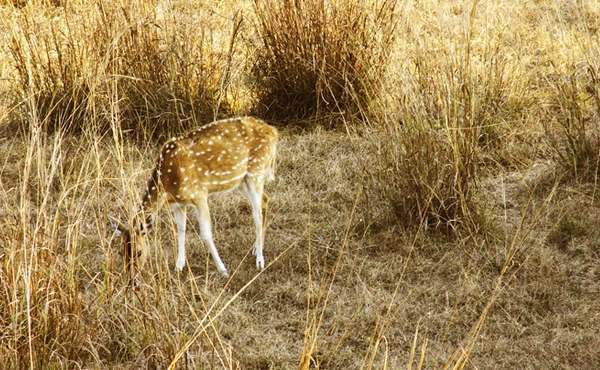 The same abundance of wildlife species exists today in Kanha National Park which is one of the largest sanctuaries in India covering an area of over 2,000 sq km. 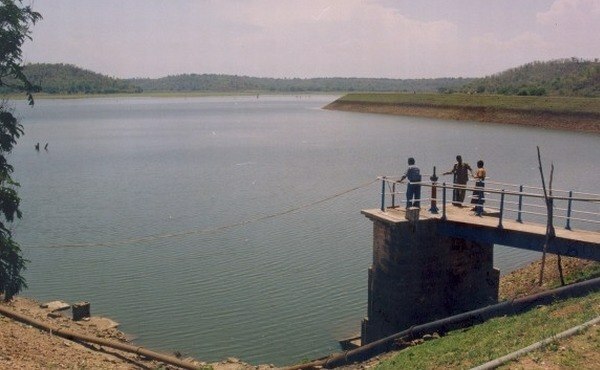 With its extensive grasslands and sal and bamboo forests,. Kanha is often compared to Ngorongoro park in Tanzania. Ravines and hills make for interesting features and undoubtedly Kanha's beauty is thrilling. Kanha offers unparalleled opportunities to photograph wildlife and it is considered to be one of the best places in the world to see tigers. 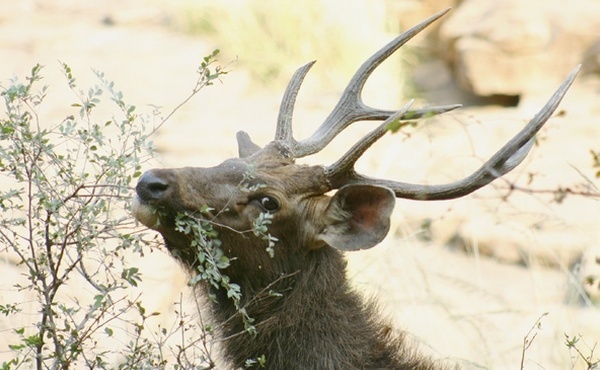 Amongst the other wildlife you can see leopards, Indian bison, sambhar, blackbuck and wild dogs. Kanha has also a rich variety of birdlife with 230 species recorded. You need therefore at least to allow two full days to explore this fabulous sanctuary with morning and evening game rides on each day. Morning and evening game rides in Kanha National Park. 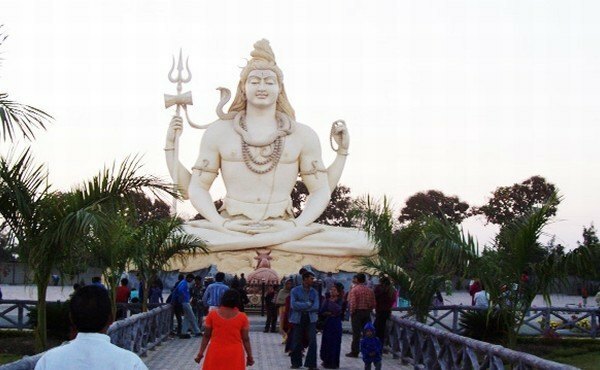 Drive from Kanha to Jabalpur (3 hrs) to connect with your onward travel. If you wish, you can fly back to Delhi - just let us know and we'll advise you of the additional costs. 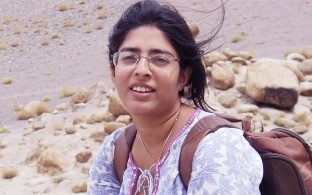 Alternatively, we can arrange for you to take the overnight train back to Delhi. Feel free to add any special requirements to your enquiry form. From EUR 1,180 per person based on two people sharing. Jeep safaris in Bandhavgarh & Kanha National Park. The Bandhavgarh National Park is one of the best places in India to spot a tiger and is also home to a wide range of other game such as nilgai, jungle cat, wild boar, hyenas and many species of birdlife. The park is set in extremely rugged terrain with many hills. There are also interesting cave shrines scattered around the park, with Brahmin inscriptions dating from the first century BC. 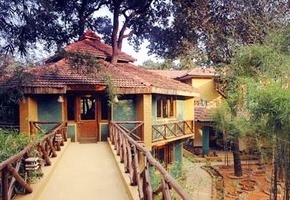 The park is dominated by the majestic Bandhavgarh Fort. 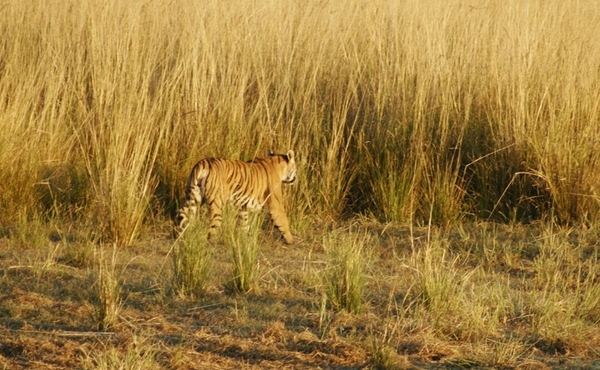 Kanha National Park is considered to be one of the best places in the world to see tigers. You can explore this fabulous sanctuary by jeep from mid October to end June. Amongst the other wildlife you can see leopards, Indian bison, sambhar, blackbuck and wild dogs. Kanha has also a rich variety of bird life with 230 species recorded. 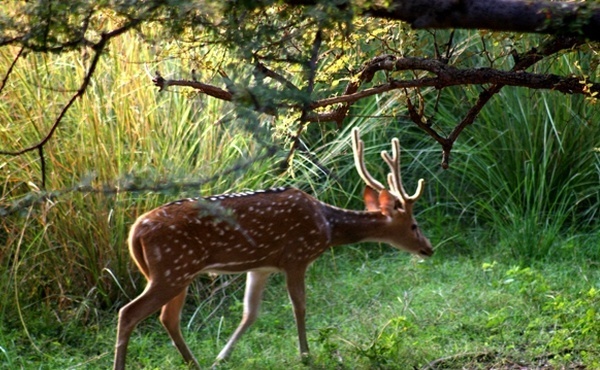 Apart from this, Kanha is possibly one of the most beautiful national parks in India. 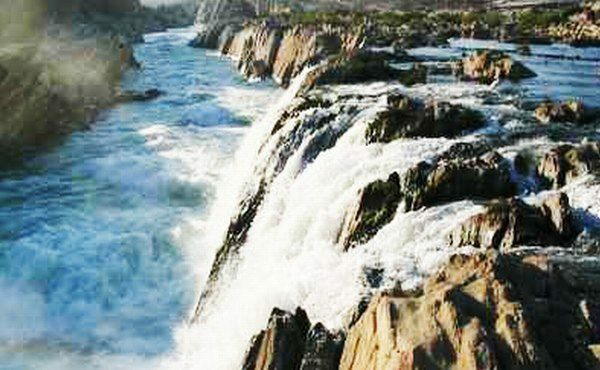 Jabalpur was the capital and pleasure resort of the Gond kings during the 12th century. It later fell to the Marathas until the British took it in 1817 and left their mark with the cantonment residences and barracks. 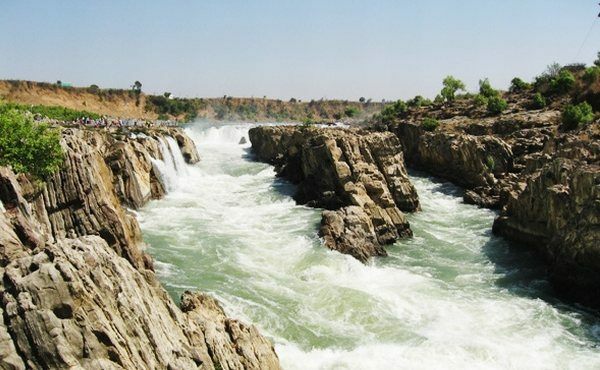 Today Jabalpur is an important regional centre in the heart of India's forested tribal belt. 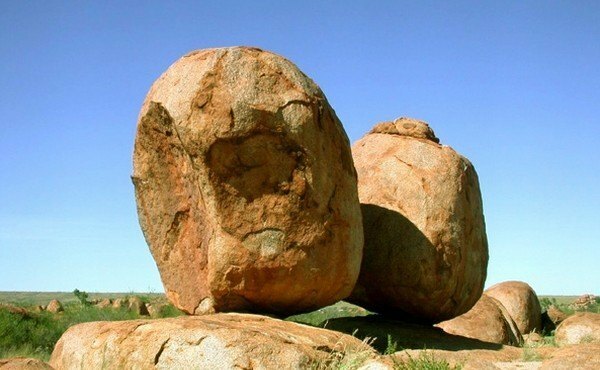 It is famous for its Marble Rocks, thirty metre high white cliffs on either side of the Narmada river, 22 km west of town. Bandhavgarh and Kanha National Parks are closed during the monsoon from 1st July to 15th October. Please note that during the period that the park is open, no game rides are allowed on Wednesday afternoons. The time in India on 20 April,2019 is now 03:57 hours.